Three positively mouth-watering culinary journeys to spectacular destinations, with equally spectacular celebrity chefs. Celebrated chef Christine Manfield’s latest culinary tour is to Andalucia in Spain, departing late September. The intimate touring group of 10 people will depart from Madrid and head to Seville to view the stunning Moorish architecture and experience the best tapas the city has to offer. From there it’s on to Gaucin, the home base for seven days, from which Christine will lead excursions to the markets, Ronda and Grazalema; then it’s on to Granada for a private tour of the gorgeous Alhambra Palace. Sydney-based Peter Kuruvita will lead a food safari of his native Sri Lanka, sampling everything from street food to the best fine dining, and searching out the people, the spices and the recipes that make this such a compelling culinary destination. The 13-day journey wends its way from Colombo to Galle, taking in the ancient capital of Anuradhapura, the rock fortress at Sigiriya, and the hill town of Kandy, as well as mobile luxury tents, elephant orphanages, sumptuous feasts and plenty of aromatic, spicy curries. 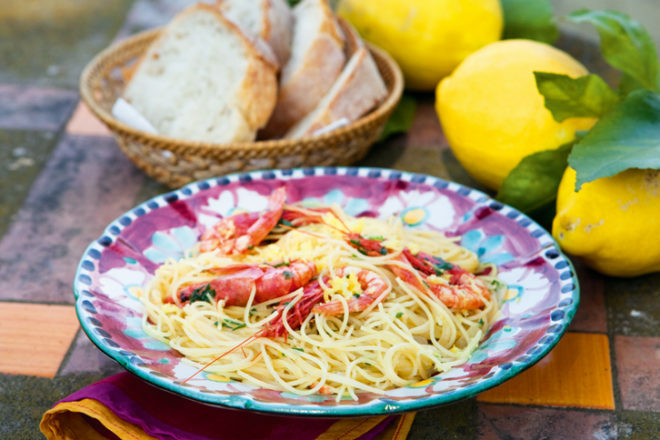 With close to two decades living in Positano and two books to her credit – My Amalfi Coast and Amalfi Coast Recipes – Amanda Tabberer is quite the expert when it comes to this gorgeous region. Drawing on her network of local chefs, restaurateurs and producers, she leads Italophiles on a gastronomic journey taking in local eateries, cooking classes and picture-postcard towns, extolling the virtues of ‘real’ mozzarella, lovingly made pasta, fresher than fresh seafood, pear and ricotta tart and an ice-cold glass (or two) of prosecco.